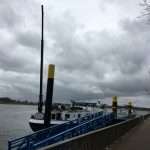 The 107 meter long self-propelled barge Sonja allided with the Friedrich-Ebert Bridge over the Rhine river near Duisburg-Ruhrort, Germany. 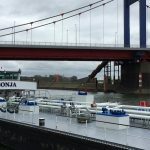 The Sonja was passing under the bridge when it’s aft crane boom struck the underside of the bridge. 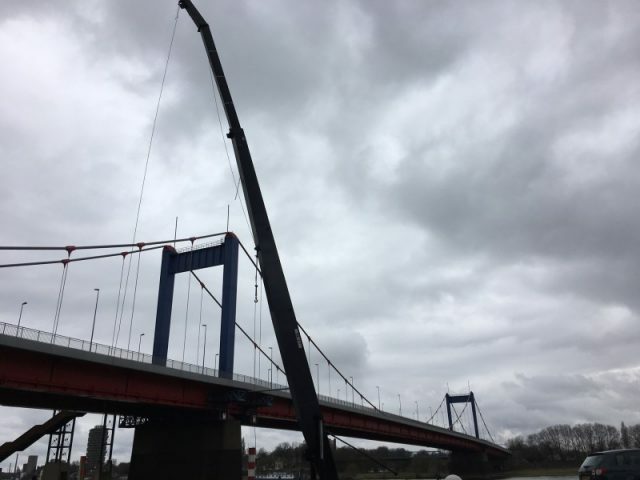 The crane was bent backwards and a cable run underneath the bridge was torn off. No reports of injuries. 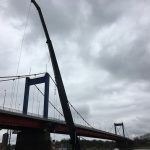 Traffic was halted until the bridge could be inspected for damage. Authorities have detained the Sonja while it conducts an investigation. Reports state the vessel was en route to Antwerp. 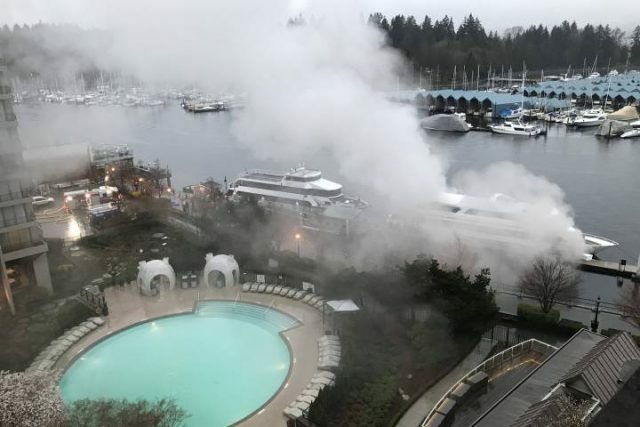 The 18 meter long passenger vessel Magic Charm caught fire while moored in Coal Harbour, Vancouver, British Columbia. 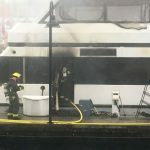 Local fire fighters were called as dense plumes of smoke poured from the vessel’s superstructure. 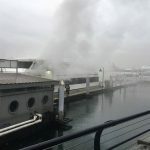 The fire fighters were eventually able to bring the blaze under control. No reports of injuries. The Magic Charm sustained significant damage. Authorities have launched an investigation into the incident. 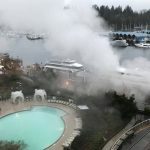 Reports state the cause of the fire was no yet determined.